A residence permit is any documentation issued by the Greek authorities, according to which a third country citizen is given the right to reside legally within Greek territory, in accordance with the provisions of the European Union (Regulation 1030/02 as applicable). 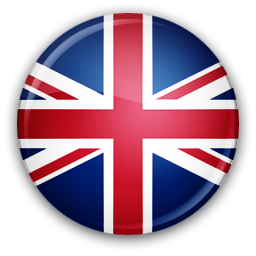 Different categories of residence permits exist, as well as different types of permit within each category. Employment rights depend on the type of permit issued. Applications for the granting and renewal of residence permits are submitted directly to the municipality or the relevant authority of the Aliens and Immigration of the Decentralized Authority in the applicant s place of residence, apart from certain specific types of residence permits for which applications are submitted to the Department for Migration Policy at the Ministry of the Interior. Residence permits for real estate owners and who they apply to. third country citizens who own real estate property in Greece, either personally or through a legal entity of which they own the total of the company shares, provided the minimum value of the property is 250,000 euros. third country citizens who have signed a timeshare agreement (lease) for a minimum of 10 years for hotel accommodations or furnished tourist residences in integrated tourist resorts according to article 8, paragraph 2 of Law 4002/2011 (Government Gazette 180 A), provided the minimum cost of the lease is 250,000 euros. third country citizens who either reside legally, with a residence permit, in Greece, or wish to enter and reside in the country, and who have full ownership and possession of real estate property in Greece, which they have purchased before the enactment of law 4146/2013, provided that they had purchased the real estate property for a minimum of 250,000 or the current objective value of their real estate property is at a minimum of 250,000.
third country citizens who fully and legally own real estate property in Greece, the minimum value of which is 250,000, and which they acquired through a donation or parental concession. The right to a residence permit in this case can only be exercised by the receiver of the donation or parental concession. third country citizens who purchase a plot of land or acreage and proceed to erecting a building, provided that the cumulative value of the land purchase and the contract with the construction company is at minimum 250,000 euros. third country citizens who have signed a ten-year timeshare agreement (lease), based on the provisions of Law 1652/1986. A time share lease, according to the provisions of article 1 of law 1652/1986 is the commitment of the lessor to grant, each year, to the lessee, for the duration of the timeshare, the use of the tourist accommodation and to provide to them the relevant services for the determined period of time according to the contract, and the lessee must pay the agreed rent. family members of the third country citizens described above. Preconditions for a residence permit for real estate owners in Greece. a) The real estate property must be owned by and be in possession of its owners. b) In cases of joint ownership, where the value of the property is 250,000 euros, the residence permit is only granted if the owners are spouses with undivided ownership of the property. In all other cases of joint ownership, the residence permit is only granted if the amount invested by each of the joint owners is at least 250,000 euros. c) If the owner has acquired the property through a legal entity, the applicant must own 100% of the company shares. d) The residence permit is also granted in cases where the third country citizen is the owner, either directly or through a legal entity, of more than one real estate property with a combined value of at least 250,000 euros. e) In cases where the applicant wants to enter the country with a type D visa, the documented intention to own property should be supported by documentation which prove the financial capacity (e.g., certificate of an A-class certified bank, or other recognized financial institution), which certify the existence of bank accounts or other mobile assets, such as bonds or shares, which can cover the cost of the investment of at least 250,000 euros, and which certify the intention of the applicant to purchase the property (contract with a law firm or with a real estate office). f) In the case of third country citizens who have signed a lease of at least 10 years for hotel accommodations or furnished tourist residences in integrated tourist resorts, provided the minimum value of the lease is 250,000 euros, the contract must require a single payment of the lease for the equivalent of the ten year leasing of the property. In all cases outlined above, the value of the real estate property will be determined based on the value of the property, or the lease, indicated in the contract of purchase. The value of the property, according to law 4251/2014, is the amount stated explicitly on the contract which has been submitted for the purchase of the real estate property. The objective, or assessed, value of the property is not relevant, unless it corresponds to the amount which was, according to the contract, paid for the sale of the property. Entry Visa requirement to obtain a residence permit for real estate owners. An entry Visa, that is, legal entry in the country, is necessary to obtain a residence permit for owners of real estate property. Following the issuance of a residence permit, and for its duration, there is no need for a Visa. Pursuant to Law 4251/2014, any third country citizen who has entered the country legally holding a visa of any type or is a legal resident of the country irrespective of their status or type of residence permit, has the right to apply for a residence permit. Duration of the residence permit for real estate owners. This residence permit is valid for 5 years. Renewal of residence permits for owners of real estate - Duration and Preconditions. The real estate property must remain in the full ownership of the applicant. Absences from the country do not impede the renewal of the residence permit. The resale of the real estate property, during the period when the residence permit is valid, to another third country citizen does not provide to the new owner the right to a residence permit. The process for the issuing of a residence permit for real estate property owners. Two copies of the application document. Certified copy of a valid passport or travel documents recognised by Greece and with the relevant valid entry visa, where required. A fee paid and obtained through the "e-paravolo" platform according to provisions of Law 4251/2014 article 132, which amounts to 500 for residence permits of up to a five year duration. A contract of purchase stating that ?the contract of sell and purchase of the property is not subject to conditions or exemptions, the total price amounts to ?.. which has been paid in full with a crossed bank cheque or bank transaction? and a proof of transfer of the contract by the competent Land Registry. - Insurance contracts which have been signed outside Greece, provided that they explicitly mention that they cover the interested party for the duration of their stay in Greece. 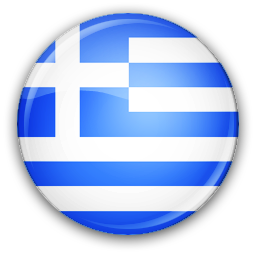 - Insurance contracts which have been signed in Greece. Residence permits for third country citizens who own property in Greece through a legal entity, where the applicant owns all shares A contract of purchase stating that the contract of sell and purchase of the property is not subject to conditions or exemptions, the total price amounts to which has been paid in full with a crossed bank cheque or bank transaction? and a proof of transcription of the contract by the competent Land Registry. Certification by an insurance agency for the cost of hospitalization and medical care. Proof of title transfer from the land registry where the relevant lease contract has been transferred. If the payment submitted before Law 4146/2013 came into effect is smaller than two hundred and fifty thousand euro (250,000) but the current objective (assessed) value of the real estate property exceeds or is equal to this amount, a certification by a notary must be included in the documents that are submitted, stating: ?From the verification of the contract with number .for the purchase of real estate property, it can be concluded that the full payment of the cost of the real estate property has been completed, it no longer has any conditions, exemptions or deadlines, and the objective (assessed) value of the real estate property as it stands today is equivalent to the amount of ... In this case it is also necessary to submit the contract of purchase for the real estate property or properties, the value of which is at minimum 250,000, and a proof of title transfer from the land registry where the relevant contract has been transferred. iv. invoices by the contractors and the corresponding proofs of payment. iii. certification by the Greek National Tourism Organisation that they have been informed of the establishment of this timeshare lease. Recent family status certificate from foreign authorities which certifies the family relationship. Applications for the residence permits must be submitted to the one-stop service of the Alien and Immigration Department at the Decentralized Authority where the property of the interested party is located. For more information on your case, please contact the one-stop shop of the Decentralized Authority where the property is located. A list of all one stop shops and their contact information can be found in the attached list. A third country citizen who intends ?and has the necessary supporting documentation? to own real estate property or to lease hotel accommodations or furnished tourist residences and has entered the country legally, is required to complete the required actions to apply for the residence permit before the expiry of the entry visa. In this case, the prospective applicant is able to undertake legal acts and transactions with the competent authorities, using their entry visa. The submission of the application for the issuance of the residence permit, the submission of additional documentation, the receipt of the residence permit or of a rejection, or any additional documentation from the relevant file, can be done either in person by the third country citizen, or through a proxy. This means that third country citizens who have never entered Greece are not allowed to submit an application for a residence permit via a proxy. The applicant is allowed to enter the country, to assign their representation to a lawyer, either with a proof of authenticity of their signature issued by any public authority or with a notarized power of attorney, and then depart from the country and not be present during the submission of the application for a residence permit and/or the granting of the relevant permit. Consequently, it is possible to submit the application via proxy, under the condition that the person submitting the application also submits either an original passport of the third country citizen or a copy or a true copy of the passport certified by a lawyer. It is possible, in the same way, to receive the certification that the application has been submitted, as well as the residence permit. The relevant provision will be valid until the establishment of an independent document which will replace the unified type of residence permit. For the submission of the independent document, the presence of the third country citizen will be necessary, because of the requirement to obtain biometric data. The documentation outlined in the previous steps should be attached and submitted with the application. The authorities receiving the application will issue a confirmation that the application has been submitted, provided that all the necessary documentation has been submitted with the application. This confirmation is valid for one year and it constitutes an evidencing document until the residence permit is issued. The owner of the real estate property is not affected by the duration of the processing of their application, from the moment the application is submitted to the relevant authorities until the issuing of a decision by the Secretary General of the Decentralised Authority regarding their residence permit. After the application has been submitted, the applicant receives a receipt confirming the submission of the application, which is valid for one year. The time required to process the application depends on the authority where it has been submitted yet it may not exceed two months after all the necessary documents have reached the competent authority. The third country citizen, who has submitted an application and received the confirmation receipt described above, can reside legally in the country for the duration of the confirmation receipt (one year). The holder of the confirmation receipt is entitled to the benefits of the residence permit that they have applied for. Hence, they can proceed with any legal transaction regarding their investment and can transact with all the relevant authorities. Once the authority of Aliens and Immigration of the Decentralized Authority has verified that the application fulfils all necessary conditions and, in accordance with the decision of the Secretary General of the Decentralized Administration, they will issue a five-year residence permit. Procedure for residence permits for family members. According the information above, third country citizens can be accompanied by their family embers, who will be granted the appropriate entry Visa. Family members have the option of entering the country at a later date from the applicant, from whom they draw their residence rights. These family members are issued with a residence permit of the same duration as the applicant, but this permit does not include access to employment. The children of the applicant, who have been originally admitted to the country under the terms and requirements of residence permit for property owners, are issued with a residence permit for family reunification until the age of 21. After that, it is possible to acquire a renewal as an independent residence permit until they reach the age of 24 and then it is possible to renew it further according to pertinent immigration legislation. Documents and certificates for the renewal of residence permits. The renewal of the residence permit requires different documents. A true copy of a valid passport or travel documents recognised by Greece. A certified copy of the previous residence permit, only in cases where the permit is not attached to the passport that is submitted. - Insurance contracts which have been signed outside Greece, provided that they cover the interested party for the duration of their stay in Greece. Renewal of residence permits for third country citizens who own and posses, either wholly or jointly, property in Greece. The property remains under the possession and ownership of the interested party, or the lease in question is still in force. Renewal of residence permits for third country citizens who own property in Greece through a legal entity, where the applicant owns 100% of the shares. The property remains under the possession and ownership of the interested party, or the lease in question is still in force. Renewal of residence permits for third country citizens who have a lease for a minimum of 10 years for hotel accommodations or furnished tourist residences in integrated tourist resorts. The property remains under the possession and ownership of the interested party, or the lease in question is still in force. Renewal of residence permits for family members, according to article 20, case B, paragraph 4 of Law 4251/2014, of the third country citizen. Certification by an insurance agency for the cost of hospitalization and medical care. Declaration by the sponsor that the family circumstances have not changed. Copy of the birth certificate for a child born in Greece. Language requirement for the documentation ? Translation Authorities. b. A lawyer, who must be a member of a Greek bar association, with a certification of their signature by the Bar Association. Cost associated with the application process for the residence permit for owners of real estate. Interested parties are only subject to the fee for the issuance of a five year residence permit amounting to 500 euros.